A major rift has developed within the Miami Beach historic preservation community following a contentious election for the Board of Directors of the Miami Design Preservation League with two different groups each declaring themselves the legitimate Board. Amidst the infighting, the Miami Beach City Attorney has asked that no one speak on behalf of MDPL before any of the City’s land use boards or Commission until the issue is resolved. MDPL, founded by noted preservationist Barbara Baer Capitman and friends in 1976, is the oldest Art Deco Society in the world according to the organization’s website. It provides cultural and educational programs with its signature event, Art Deco Weekend, held each January. Earlier this year, MDPL released a survey by the Greater Miami Convention and Visitors Bureau indicating the impact of the weekend at over $13m in direct business to the City. It also advocates on behalf of preservation of significant architecture. 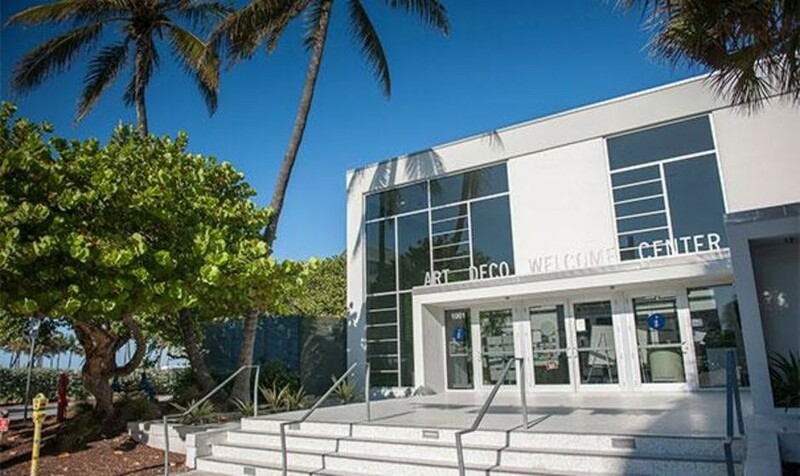 The MDPL offices, Art Deco Welcome Center, museum, and gift shop are located in a City-owned building at 1001 Ocean Drive. Because of the arrangement with Miami Beach to manage the facility as well as City funding provided for MDPL events, the City is in an awkward position. Due to the election discrepancies, the City is not in a position to determine who the correct contact is for MDPL. It is my understanding that both factions have now retained counsel to address this situation. Once you have all finalized your dispute, please contact us with the accurate information. Again, the City will not be involved in determining who is (are) the correct MDPL representative(s). In the meantime, I respectfully request that no one should appear purporting to speak on behalf of MDPL at any of the City’s land use board meetings and hearings, or before the City Commission, until this matter is resolved. We would not, of course, prohibit any interested party from exercising his/her right to speak at a public meeting; however, pending resolution of your internal dispute, we would prefer that any such speaker identify that he/she is speaking in his/her individual capacity, and not as a representative of MDPL. The Manager and I ask that you honor this request. 2) As MDPL receives significant annual funding from the City, and such funding is up for review during the City’s FY 18/19 budget process, the current unresolved conflict my [sic] jeopardize or, at the very least, delay such funding. Please keep us informed of any and all developments. Again, we urge you to resolve this matter quickly and expeditiously, so as not to jeopardize MDPL’s contractual status and/or funding with the City. The “election discrepancies” include claims of fraud and vote buying according to Ciraldo’s side and vote influencing according to Pynes’ group. I joined MDPL 5 years ago as a volunteer to help stop the demolition of single-family homes that were being knocked down and replaced with McMansions. At the time, MDPL was a weak organization with poor financials.. it was also involved in a lawsuit that led to a major legal judgment against us. Because MDPL was on the brink of insolvency and its leadership had no plans for a turnaround, I offered to become Executive Director at no change to my existing salary, in order to help raise funds, put in best practices, and turn the organization around. I am proud of the record of accomplishment that the organization has made over the last year. There are many, but most notably is the designation of the largest historic districts in over thirty years as well as paying back a significant portion of our legal judgment. One year later, the Board voted to give me a salary commensurate with similar sized organizations with preservation missions. This happened after an attempt by just a handful of Board members to reduce my already-approved salary considerably. I am eternally grateful for the Board believing in me. Unfortunately, with success comes disagreement. Several long-time board members have not been happy with our progress, nor with our implementation of budget rules, financial planning, and a more professional work place environment. Those board members are now attempting to smear me as well as MDPL, Miami Beach's leading historic preservation organization. They are on their last breath and this is their big "boom" to see if they gain any traction. It is no longer about the best for the organization - it is about them protecting themselves. Please, do not follow their advice and vote for their "slate". Indeed, many of the people they ask you to "Vote Yes" for are people that I have never met, nor are they known to our community or to our other Board members. The governance of the organization is incredibly important. Without good board members, we are nothing. Don't let MDPL be destroyed from within. On that note, I would strongly encourage you to vote for what I would consider the “Dream Team” of Board members. The email included three attachments, Ciraldo’s resume, a resignation letter from a former employee, as well as an email citing her difficulties working with Ciraldo. Here's what a rigged election looks like, folks. Prince of Darkness brought in stacks of member applications and is now affixing $50 bills to each one. Along with Rusty Lee the Art Deco Chair. The post is no longer available. “The Prince of Darkness” refers to Hilliard who according to a 2007 article in Miami New Times listed himself that way in a Key West phone book. The day after the election, Ciraldo sent an email to a small list which included members from each slate as well as the independent accountant reviewing the results and the MDPL attorney declaring the proxies submitted on election night should not be counted and the new memberships would be refunded. The applications that were submitted used an old paper copy of the membership application... many of the applications are hard to read or are incomplete. I tried calling several people at the numbers listed on the applications but was not able to connect. I will continue trying. Because we are a not-for-profit that receives public funds, it is imperative that our election process maintain integrity and follow best practices. Allowing applications outside of the normal accepted process is simply not acceptable. All members could have signed up easily online and come in person to vote, or submitted a proxy by the Friday 7pm deadline. In addition, they could have signed up at MDPL using the online system. However, allowing 3rd parties to submit paper membership applications using cash and without verifiable identifying information is not a best practice nor something that MDPL can allow under my watch. I will direct staff to refund all member applications submitted yesterday, and we'll ask those applicants to visit our website so that they may fully complete the application individually. This will ensure we have their email and phone numbers so that we can truly build a lasting relationship. We will look forward to having them active in MDPL and voting at the 2019 annual meeting. In the meantime, all votes from applications submitted last night should not be counted. Thank you as always and I look forward to a great year ahead! Thank you for your voicing your concerns regarding the election process. You have also left me two voice messages and have sent me several emails today. Please note however that I was instructed by the Election Committee not to communicate with you or any other MDPL staff other than the one appointed by the Committee for this election. I kindly ask you to please express your concerns directly to the Election Committee. Unfortunately I cannot respond directly to any of your information requests and questions regarding this election. The Election Committee was made up of John Bachay (who appeared on both Ciraldo’s “Dream Team” list as well as the Accountability Slate touted by “Viernes”), Christina Labuzetta (on Ciraldo’s slate), and Lori Bakkum (aligned with Pynes). Mr. Ciraldo: You have exceeded your authority as Executive Director of this organization. Your continuous and ongoing attempts to interfere with this election process, despite direction from the Election Committee to not interfere, are unacceptable. MDPL is a membership organization and accepts all new members. MDPL has accepted all membership applications received. MDPL has no formalized policy for restricting membership and will not allow a staff member to decide who should be a member and who should not. All membership applications are accepted. This election is to proceed to its conclusion under the direction of the Election Committee without your interference. The Election Committee appointed for this process and the staff assigned to assist them are to be allowed to proceed without any further interference from you. Randy email [sic] us on Saturday, 16 June, asking if we would support his effort to join the MDPL board because "LaGorce/Pinetree" needs better representation. We competed the proxy and application and he said he would "gift" our membership fee. “Yes he only said that he was concerned about LaGorce/Pinetree area, nothing about a coup,” Ruggiero replied. Despite saying results would be released 48 hours after the election (Wednesday, June 20), the first results weren’t released until June 23 at 12:52 am when Pynes sent an email announcing the elected board (which were the members listed on the “Accountability Slate”). In another twist following the emergency meeting, Christina Labuzetta, one of Ciraldo’s “Dream Team” and a member of the Election Committee resigned her seat on the Board effective the day before the emergency meeting. Unfortunately, the prior Chair of the board, Mr Steve Pynes, along with several board members who were not re-elected (including Lori Bakkum and Rusty Lee) are communicating with the city, our staff, and partners claiming to represent MDPL. These people are no longer on the MDPL board and do not represent the organization. However, they have changed the lock on the administrative office that we manage for the city, blocking the legitimate board out of that office. They have also co-opted staff with their false count of the election results. This is not a movie, this is happening right now at MDPL. And it is a real shame. Please find attached the draft minutes from an emergency meeting of the prior MDPL board, which took actions to ensure the election's proper conclusion. This included removing the Chair Steve Pynes as well as rejecting nearly 131 proxy ballots submitted on June 18th by 3 individuals: Randy Hilliard, Russell Lee, and Lori Bakkum, which were past the required June 15th deadline. In one case an individual brought stacks of $50 bills for 'gift' memberships he was buying, along with already pre-filled out proxies for voting - totally against not only our corporate policy but any semblance of decency or ethics…. I urge the City to take immediate action to ensure that the rightfully elected board is able to access the MDPL offices and join us in stopping this unelected coup board from installing itself at our helm. Please continue to communicate with me as the primary liaison to City Hall for the MDPL. The Miami Design Preservation League (MDPL) 2018–2019 Board of Directors election certifying twenty directors following continuation of its Annual Meeting on June 18, 2018, has been verified. Tabulation of the voting was by Brody & Associates; an independent third-party certified public accounting firm was hired by the board to ensure voting security. Brody & Associates conducted the ballot under all applicable State of Florida statutes and non-profit proper governance procedures. Brody & Associates is the only entity that has had authorized possession of the ballots since they were cast. As Chairman, I would like to assure you that all the business of the Miami Design Preservation League, 1001 Ocean Drive, has continued at the highest level since the official election results were released early Saturday, June 23, 2018. Under the leadership of the new Board, MDPL Business Manager, Marie Hernandez, and Art Deco Welcome Center Director, Sara Aedo, and the assistance and dedication of the MDPL support staff, the real work has continued. Unfortunately, what should be a simple transition has been hampered by the actions of a disgruntled employee, Daniel Ciraldo. We are in the process of going through proper channels to retrieve the resources owned by MDPL, to be used by MDPL for official purposes. 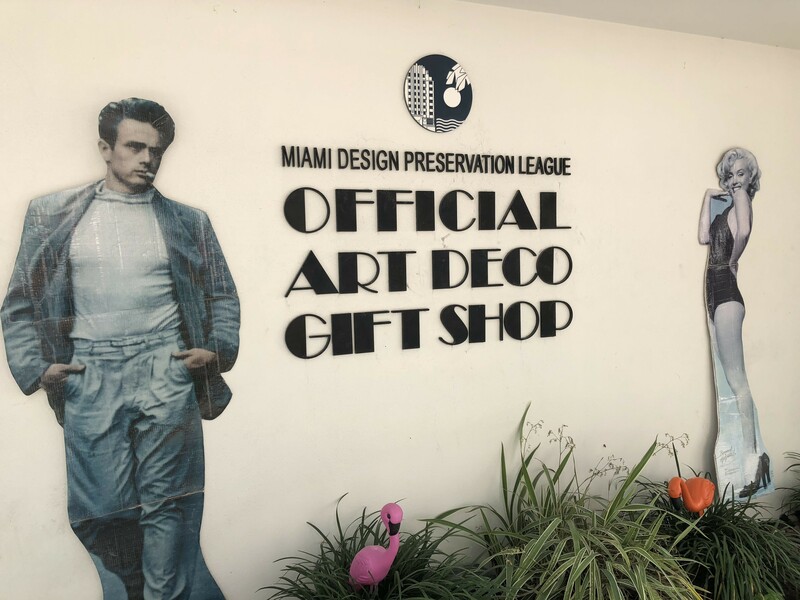 We anticipate having these transition issues resolved rapidly, so we may put all our energy and resources in to the work and responsibilities of the Miami Design Preservation League. Mr. Ciraldo has been suspended and Ms. Hernandez has been named Acting Executive Director, and retains her title of MDPL Business Manager, to better facilitate the transition responsibilities. 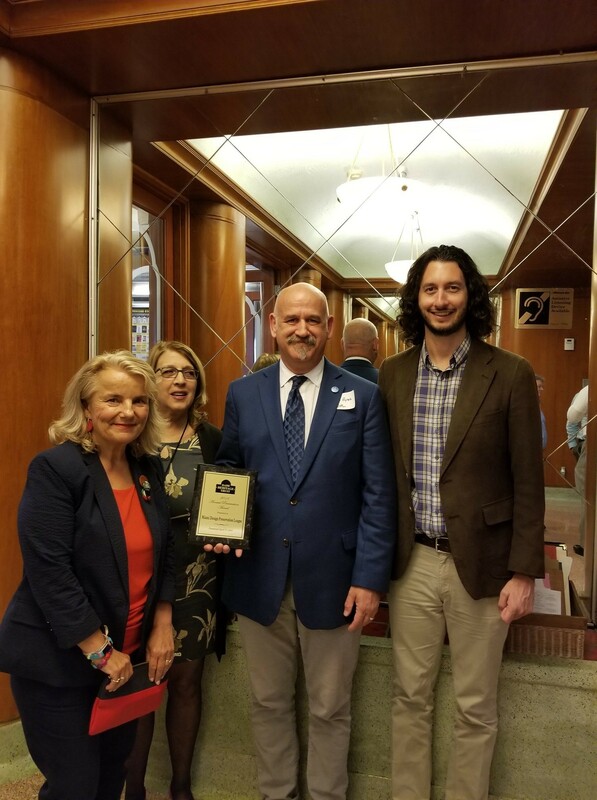 MDPL’s recent robust membership growth, open process and the preservation activists who expressed interest in serving has already strengthened our community involvement and renewed our dedication to the organization, whose mission is historic preservation and the cultural arts. Continuing to grow membership and community outreach will be one of our paramount goals this year. Jimmy: See attached email below suspending MDPL’s Executive Director. Please advise those in the City that you feel should be informed that he does not represent MDPL at this time. Call if you have any questions. Daniel: As Executive Director of MDPL you are immediately suspended with pay until further notice. You are directed to immediately return control of all web site access to our staff that you illegally removed or deleted this morning and earlier this week. Based on consultation with and advice from the MDPL attorneys, Joseph S. Geller of Greenspoon Marder LLP, you are hereby directed to cease and desist from ALL ACTIVITIES associated with MDPL including but not limited to; accessing our electronic sites, contacting MDPL Staff, contacting Board Members or contacting any MDPL Membership. You are not authorized to communicate on MDPL’s behalf on any media format and in any capacity whatsoever until further notice. Both sides told their stories this week to RE:MiamiBeach. Pynes said for the 20 years that he’s been a member of the Board, the process has involved a Nominating Committee which reviews resumes and makes recommendations to the Board which then reviews and can modify the recommendations, though he’s never seen that happen. Then, a list of nominees goes to the membership at its annual meeting which has, in the past, taken a verbal “Yay or Nay” vote. This year, he explained, four Board members initially expressed their intent to step down and the Nominating Committee recommended four new members. Later, two of those members decided to continue their Board service and the Nominating Committee narrowed its list to two recommendations. Randy Hilliard’s name was one of those originally recommended but not included on the shortened list. The election was originally scheduled for May 17th but Pynes delayed it when “All of a sudden Board members were showing up with 10-20-30 proxies requesting they be allowed to vote.” According to Pynes, the organization had never had proxies presented before nor had they been provided as an option to the entire membership. Further complicating the day, MDPL’s website was down for seven hours meaning membership applications could not be processed online, he said. After consulting with MDPL's attorney, Pynes delayed the election until the rules around proxies could be set up and everyone had the same option available to them. “We came to discover after that May 17th meeting, that Mr. Ciraldo was calling members individually and requesting that they provide their proxy to another Board member… using an online system that gave your proxy to another Board member and were stunned that our Executive Director was trying to influence the election for the Board of Directors who would govern him,” Pynes said. Bakkum said Pynes began putting good governance processes in place several months ago. At that point, Pynes said, "The Board meetings started to get more contentious." He said there was "micro analyzing of our bylaws and how we govern ourselves and so I felt it was important to try to understand that because a lot of Board members don't read the bylaws and understand them." The Board hired Greenspoon Marder due to their broad experience with non-profits, he said, which then assigned Joe Geller to work on the election issues. “I just feel it was misconstrued,” she said of the election night memberships. “I don’t know why anyone would think the new members brought in in the weeks before the election with one point of view are anything different from those brought in with the view of others. All members are equal.” Multiple points of view, she said, are “how you have a healthy, wonderful dialogue that breathes life into an organization. “I have been locked out of the whole process even though I’m not on the ballot,” Ciraldo said. Regarding the video of the memberships and proxies with the $50 bills, Bakkum said, “One person brought in several. I myself brought in 11 people that support me, many of whom who had volunteered for MDPL Art Deco Weekend,” which she Chairs. Bakkum said those were not people who had been members before but who “certainly supported” MDPL. “Each [membership application] that I saw was signed as required and each one had payment with it. We have accepted memberships like that in the past and I did not witness anything improper at all,” she said. Pynes noted there has been a surge in membership since April. “We have probably signed up close to 200 new members with MDPL online and in person, so people are not restricted in how they apply for membership. They can apply through an online system on our website but they can also become a member by submitting cash, credit card or whatever they do.” Often, he said, people who come in to take tours sign up for membership at the Welcome Center to receive discounts on shopping at the gift shop. What about “Jose Viernes”? Bakkum said, “Neither of us knew who Jose Viernes was when a slate was pressed by him, but we have since learned it is a pen name for Randy Hillard, a nominee and new board member." She added, "The 'Accountability Slate' wasn't Steve's slate. Steve did not have a slate. Actually, neither Steve or I voted by slate. It is my understanding the 'Accountability Slate' was from an MDPL supporter, and new board nominee who was driven by the desire to insure good governnance, oversight, and fiscal responsibility at MDPL." She said neither she nor Pynes knows how he got access to the MDPL email list. Regarding Ciraldo’s salary increase, Bakkum said there was an initial vote to increase his salary by 25% which she said “We all voted for,” including her and Pynes. When he asked for more, Bakkum said some of the Board balked. Those Board members were left off Ciraldo’s “Dream Team” of candidates, she said. “That was a cause for concern." He emphasized the importance of the organization’s role in educational activities – tours, lectures, outreach to schools, and the annual Art Deco Weekend – in helping people understand “there’s something worth protecting here in Miami Beach.” He noted the designation of historic districts as a “huge victory but we have to continue to protect that because there’s a constant effort to chip away at that protection and so education is a big part of that as is advocating before City boards.” Ciraldo has been a major presence at the City land use board meetings as well as before the City Commission.